We focus on creating partnerships with service-based businesses such as accounting, law firms, dentists, and other B2Cs to assist them in establishing a strong digital footprint within this over-populated internet world. We want to take your own unique creative energy and business perspective, and combine them with our expertise of internet marketing tactics. Together we will work to gain your business new leads and increase revenue on a month-to-month basis. So How Can Clicc Media Help You Exactly? If you already have a business website, we will do an initial website audit to look for areas of opportunity to improve user experience and online conversions. 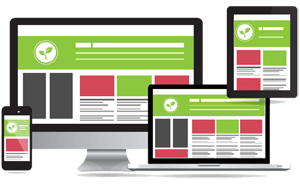 If you are in need of a new website, then we will set you up with custom and modern website that will work hand-in-hand with all of our marketing tactics. There is more to internet marketing than just SEO, which is why we provide various affordable plans or an All-in-One Bundle which encompasses different aspects of the online marketing world. This includes blogging, link building, technical SEO, video marketing, Google Adwords, social media and more. We want you to get back and focus to what you do best – which is running your business and helping clients. We’ll take care of taking your brand to a different level in the local market and work on growing your leads and revenue. The best part? We won’t work with your competition. If we work with your law firm or accounting firm, we will not take on another firm who provides the same services within the same market. Or else, we would just be competing against ourselves.